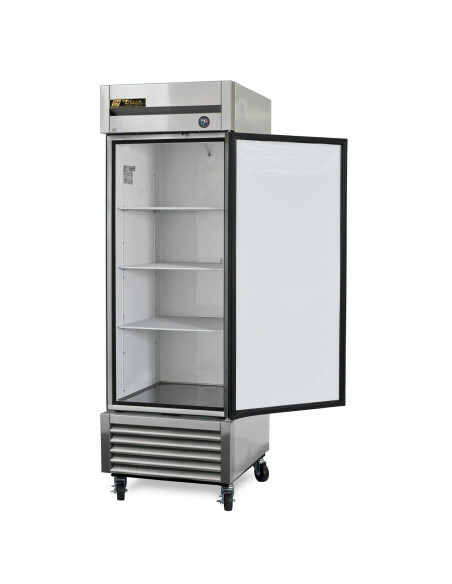 This refrigerator offers the convenience of a "no-stoop" lower shelf and storage on the top of the cabinet. True uses the high quality materials in making its oversized refrigeration systems. The T-23 uses a self-contained, capillary tube system and uses environmentally friendly 134A refrigerant. Equipped with a large evaporator coil matched a high power compressor. The unit has sealed, self-lubricating fan motors. 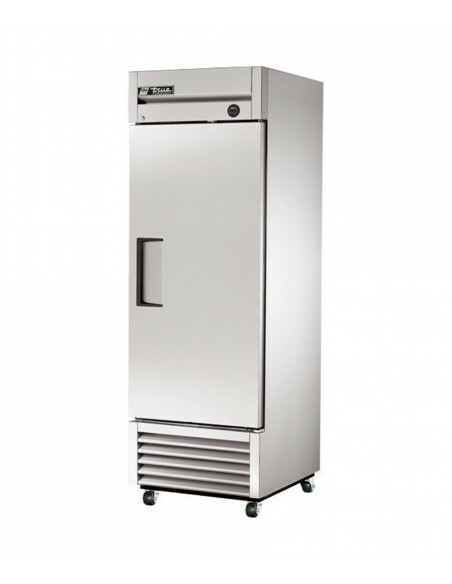 The condensing unit is bottom-mounted which makes for easier and faster maintenance. Stainless steel front and NSF- approved aluminum liner for the interior. 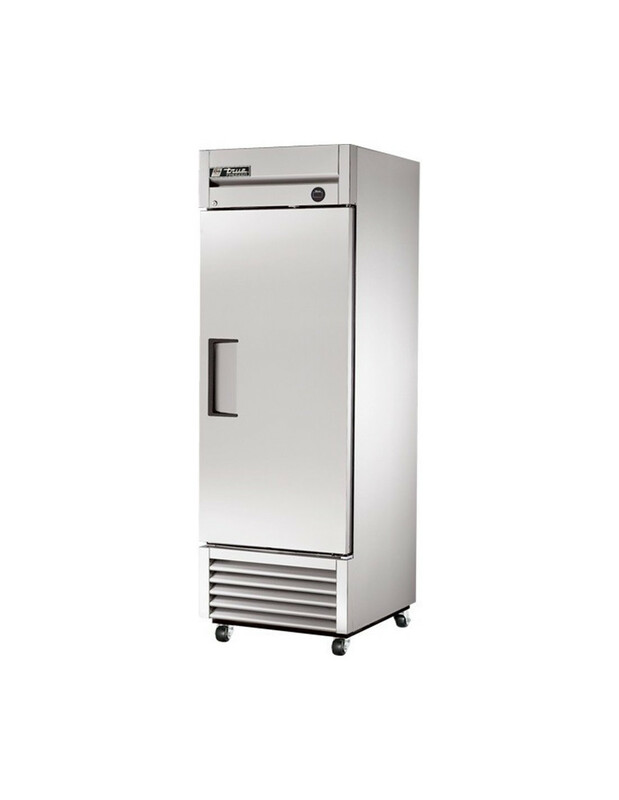 Choose the T-23 Reach In Refrigerator for your business now.